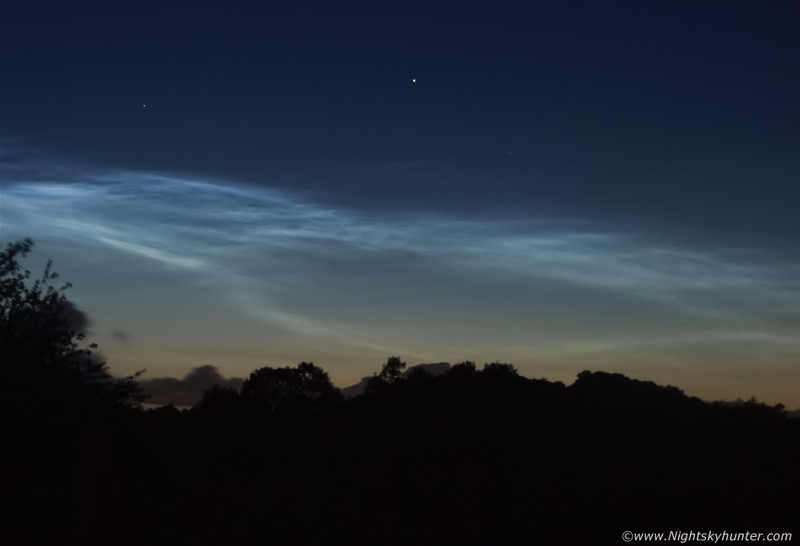 Glowing blue whirls of NLC with embedded bands, veil and lacunosus holes from Maghera on June 19th 2008, Capella is the star above centre. I captured this image using my old Fujifilm S6500FD bridge camera. * All images are available for sale in the form of photo prints, canvas or digital files for licensing, if you are interested in a purchase simply drop me an email.